You will be able to see the 100 metres flag pole which is reputed to be the tallest in the world. On a windy day, you will be able to see the flag of Malaysia being flown in full view at the square. This flag is the sixth tallest in the world after the ones in North Korea, Turkmenistan, Jordan, United Arab Emirates and Brazil. 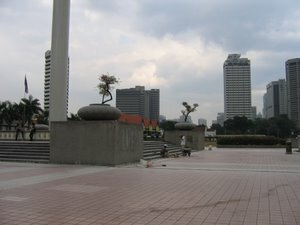 Effective February 2012, you will be able to see the "Jalur Gemilang" flag raising ceremony every Monday at 10am. This event will take about 10 minutes hence it is better to arrive early so that you will not miss this event. 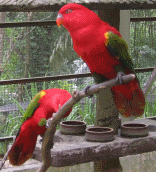 It will be carried out by Kuala Lumpur City Council personnel. 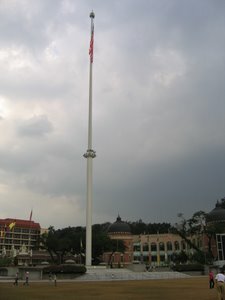 The 100 metre flag pole. The Square is well maintained with beautiful gardens, terraces, fountains and a big screen for screening of main events and live telecasts. Photography session for first timer to this place is a must whether one is a local or a foreign tourist. This Square continues to be a venue where many events are held. 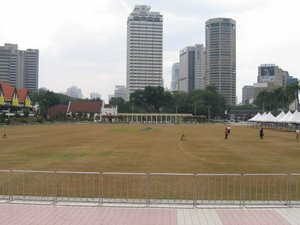 The National Day celebrations and New Year countdown are among the events that are held here. See a short video of this square. This square is usually busy with bus loads of tourists coming here to take pictures. 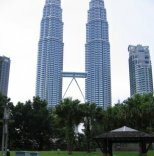 Nearby are also the KL City Gallery, KL Library and "Rumah Persekutuan", all of them are historical landmarks of the city. 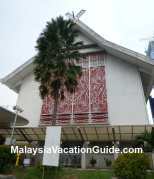 Take the Kelana Jaya LRT Line or Sri Petaling LRT Line and alight at Masjid Jamek station. The Square is just 10 minutes walk from the station. 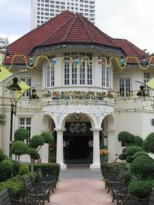 The other popular heritage buildings in the vicinity is the Sultan Abdul Samad Building, Music Museum and Royal Selangor Club. They are all located at Jalan Raja and within walking distance of each other.